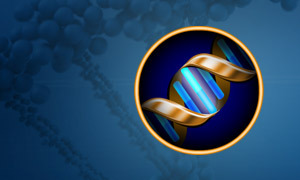 MutantMaker chooses oligonucleotides for Site Directed Mutagensis that will not only mutate the codon to a target amino acid, but also ensure that the mutation creates or destroyes a restriction site. By doing this, screening mutants becomes much easier: instead of performing costly sequencing reactions, simply perform a digest. If the restriction site is created or destroyed (easily detectable by comparison to an experimental control), the screened candidate contains the desired mutation. Paste your DNA sequence (no spaces) into the field at the top of the MutantMaker window. Drag the codon selector back and forth to select the codon you want to mutate. Under "Settings", choose the amino acid you want to mutat the selected codon to. MutantMaker can optionally change codons flanking the 5' or 3' side of the selected mutation. Although the codons will change, the amino acid they encode will not. Choose how many flanking codons you would like MutantMaker to attempt to mutate by selecting values from the popup menus labeled "5' Codon Spread" and "3' Codon Spread". MutantMaker will only screen potential oligonucleotides with restriction enzymes that are avaialble under the "Restriction Enzymes" tab. Only enzymes with a checkbox next to them will be used. To bulk-select or bulk-unselect enzymes, simply select them from the "Use" or "Don't Use" menus avaialble within "Options". We work very hard to provide you with high quality software. Download our software for macOS and Windows for free - if you like it and wish to continue using it, purchase it online from our Purchase Page. There you'll find information about multiple copy discounts and a price list for all of our products. Your payments will help us offer you even more! © 2019 Selznick Scientific Software, LLC. All rights reserved.